The Texas National Guard plans to send hundreds more in coming days after President Donald Trump called for stronger U.S. military protection there. The federal deployments come after Texas lawmakers in recent years agreed to spend more than $2 billion in state money on border protection. 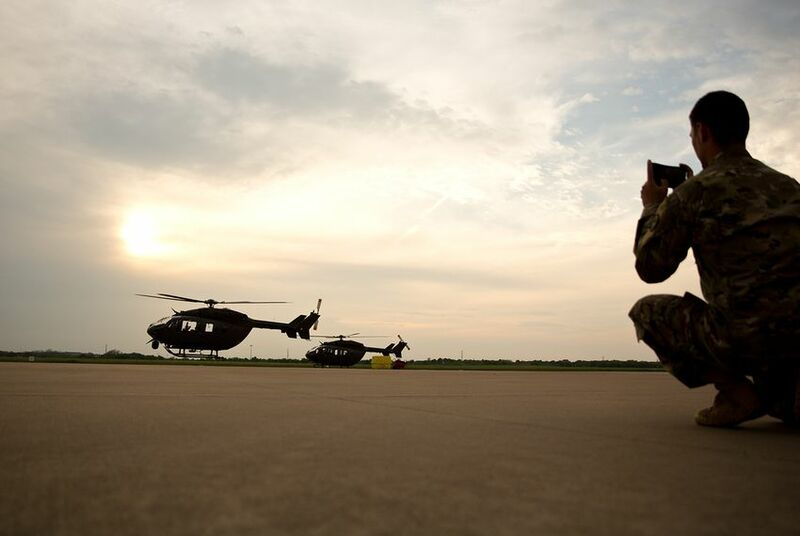 "As early as tomorrow, notifications will go out to soldiers who will be called up as a part of the follow-on phase," Brigadier General Tracy Norris said at a news conference Friday evening at Austin-Bergstrom International Airport's Armed Forces Reserve Center. "This mobilization supports the priorities of the governor and the president in securing our borders." Norris said the action is an "initial phase" of deployment, which will include operational planning that will determine what resources and additional personnel will be needed. She said the National Guard has not yet determined how much it will cost to station additional personnel along the border. Trump said Thursday he wants up to 4,000 troops on the border. Texas lawmakers in recent legislative sessions budgeted more than $2 billion for border security, with most of the money going to the state's Department of Public Safety. The Friday mobilization comes after the U.S. Department of Homeland Security announced Wednesday that the National Guard would be deployed to the U.S.-Mexico border. The move is in response to what the Trump administration has called a recent surge of apprehensions there. But critics of the plan have argued that despite a recent increase, overall crossings are at historic lows. "The deployment is designed to support ongoing efforts to mitigate the crisis on our border," a Wednesday DHS news release read. "The deployment will support federal law enforcement personnel, including Customs and Border Protection." Gov. Greg Abbott praised the Trump administration's decision and said Texas has "maintained a continuous presence of National Guard members along the border" for years. Trump's predecessors — Republican George W. Bush and Democrat Barack Obama — both temporarily deployed guard troops to the border during their tenures. In 2014, then-Gov. Rick Perry deployed state guard units in response to a spike in migrants crossing into Texas from Central America. Reporter Julián Aguilar contributed to this report.